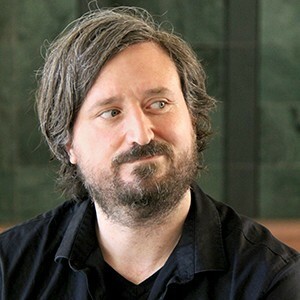 Jeff Watson is an award winning artist, designer, and Assistant Professor of Interactive Media and Games at the University of Southern California School of Cinematic Arts. His work investigates how game design, pervasive computing, and social media can enable new forms of storytelling, participation, and learning. He is a Director at the Situation Lab, a design research laboratory cross-sited at USC and OCAD University, and is an associate faculty member at the USC Game Innovation Lab. As a designer, Jeff has consulted and produced commissioned work for a variety of institutions and companies, including Intel, BMW/Mini, the USC School of Cinematic Arts, Boeing, Tiltfactor, Take Action Games, the USC World Building Institute, and the Institute for Multimedia Literacy. Jeff has delivered invited talks and workshops at institutions including Stanford University, UC Berkeley, The New School, University of Toronto, and University of Lethbridge; he has spoken and presented work at festivals and conferences such as the Berlin International Film Festival, IndieCade, the Game Developers Conference, Games for Change, DiGRA, Science of Fiction, DIY Days, Meaningful Play, the Digital Media and Learning Conference, and ARG Fest; and has shown work at exhibitions at the Hammer Museum and the Museum of the Moving Image. Additionally, Jeff's pervasive game and doctoral research project, Reality Ends Here, won the Impact Award at the 2012 IndieCade International Festival of Independent Games. His theory-practice work has received coverage from Kill Screen, Wired, ARGNet, Fast Company (Co.Exist), G4TV, Engine29, Culture Hacker, and Henry Jenkins, among others. Jeff's writing has appeared in various publications, including the International Journal of Learning and Media (MIT Press), the Journal of Transformative Works and Cultures, Confessions of an Aca/Fan, Jawbone.tv, and In Media Res. He also maintains a blog at remotedevice.net where he publishes interviews, theory, media making resources, and other ephemera. In 2011, Jeff was recognized with both the 2011 USC Provost Teaching Award and a grant from the Center for Educational Technology. Jeff received a BA in Cultural Studies from McGill University, an MFA in Film and Video from York University, a PhD in Media Arts and Practice from the University of Southern California, and a postdoctoral research associate position at the USC Game Innovation Lab. Prior to accepting his current position, Jeff was a tenure-track Assistant Professor of Digital Futures at OCAD University in Toronto.